If you’ve read my previous posts complaining about the ubiquitousness of pumpkin spice and my disdain for turkeys, you may be expecting that my December post will contain some Andy Rooneyesque rant about reindeer or Santa Claus, but don’t worry, I’m not about to dash your dreams of dancing sugar plums. On the contrary, I have always approached all things Christmas with the glee of a slightly demented elf. In fact, I think you could sum up my holiday philosophy with these words of wisdom I once read on a T-shirt– “Jingle all the way. 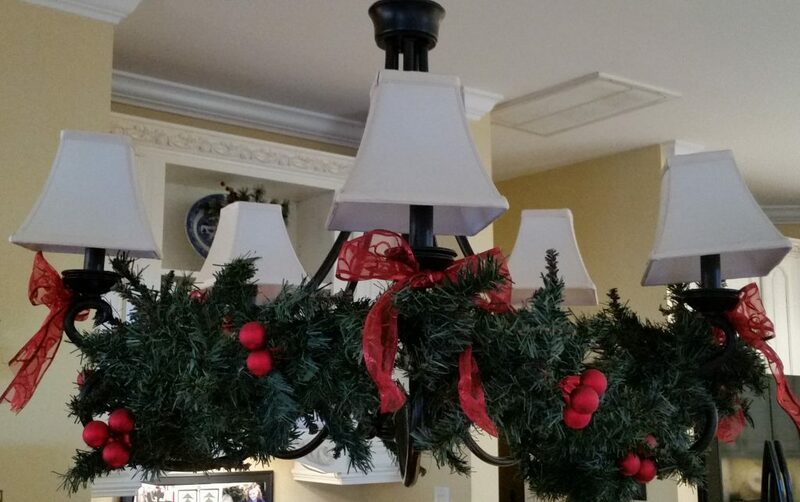 Nobody likes a half-assed jingler.” When it comes to Christmas decorating, I definitely jingle ALL THE WAY. 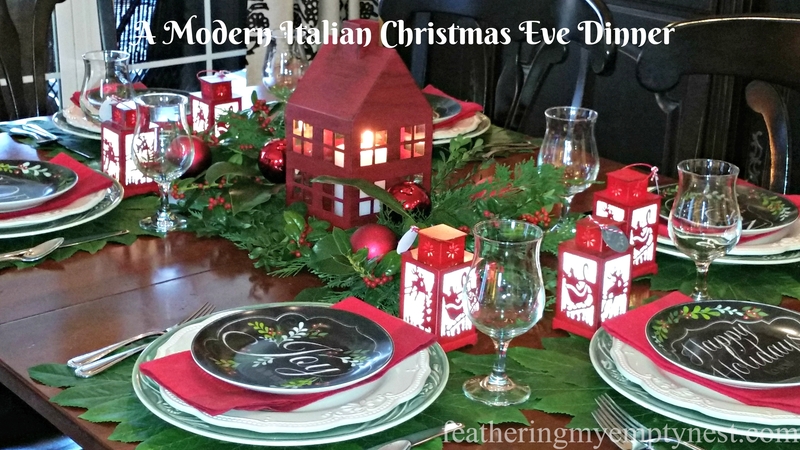 My love of the holiday is so extreme that, as you may have noticed, I even designed my house around a Christmas color scheme of red, green and yellow. The great thing about this, is that it makes the perfect backdrop for my plethora of ornaments, garlands, and most especially my many trees. 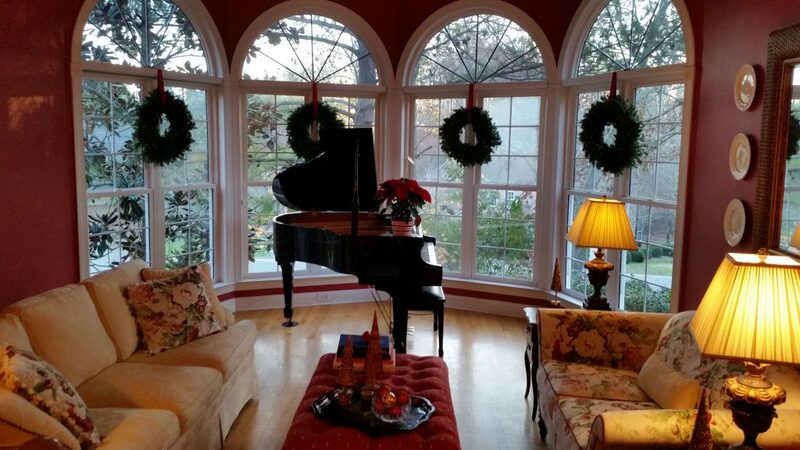 I think it’s fun to build your Christmas decor around, you guessed it–a theme. 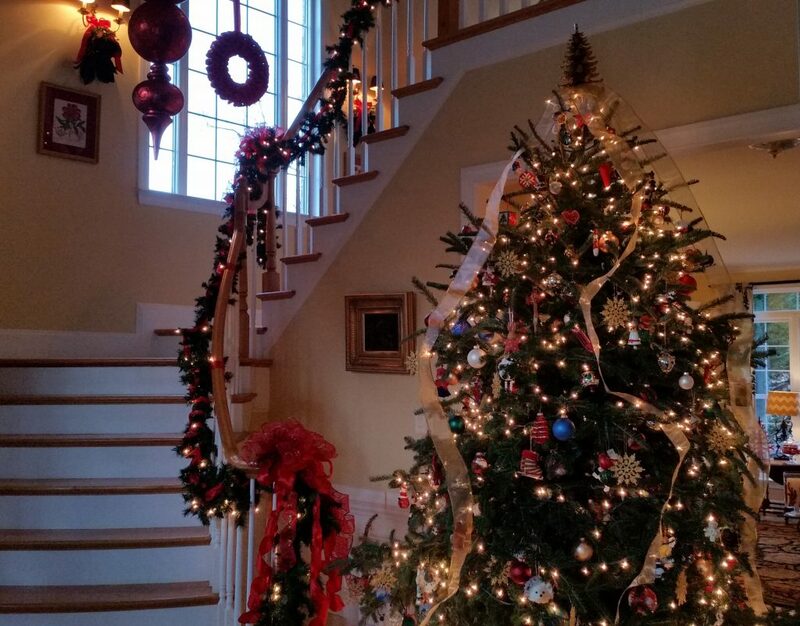 Like the Lorax, I have always loved trees, and so naturally, I chose the majestic Tannenbaum as the primary motif for decking my halls. When you stop and think about it, a Christmas tree is such a crazy but wonderful idea. It totally speaks to my love of the absurd. In any other context it would be completely ridiculous, but during the Yuletide, no one bats an eyelash at the idea of bringing a full grown pine tree into the house. The comedian Jim Gaffigan does a great bit about holiday traditions in which he suggests that bringing a Christmas tree home sounds like something a drunk person would do. (Check it out, it’s hilarious). Anyway, not including our real tree, as of this year, I have over 30 tabletop trees all over my house. They are made of resin, cardboard, felt, berries, pine cones, and even paper but the one thing they all have in common is that they bring me joy and evoke memories of all of the Christmases past. One of my strongest memories of Christmas trees is from my childhood. As a kid growing up in Pennsylvania, my family would travel out into the snowy countryside to a tree farm, ride in a sleigh, cut down a much-deliberated-on tree, have hot chocolate and return home for the traditional “swearing in of the Christmas tree.” Something about trying to screw in those four bolts evenly on that flimsy little stand never failed to send my poor dad into fits of apoplexy that brought forth some of his most colorful and inventive invectives. While recollections of this curse-fest may not seem particularly rosy, my sisters and I all remember this and fondly reminisce about it frequently. The memory of that shared experience connects us, and I think that that connectivity is what makes Christmas so special to me. 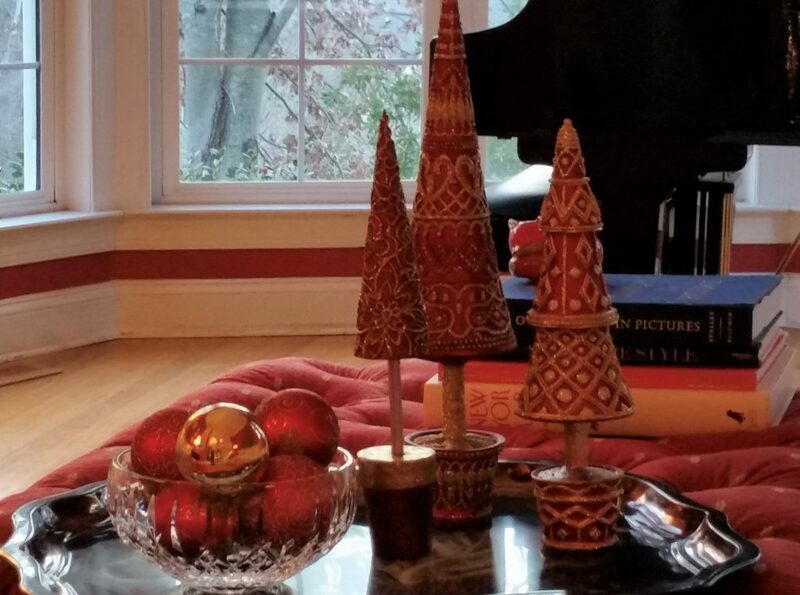 Feather and glitter trees top the mantel festooned with lighted garland, wrapped with burgundy velvet ribbon, sheer red ribbon, and wired with red glass pine cones and berries. I like to mix different shades of reds from bright to dark burgundy together. 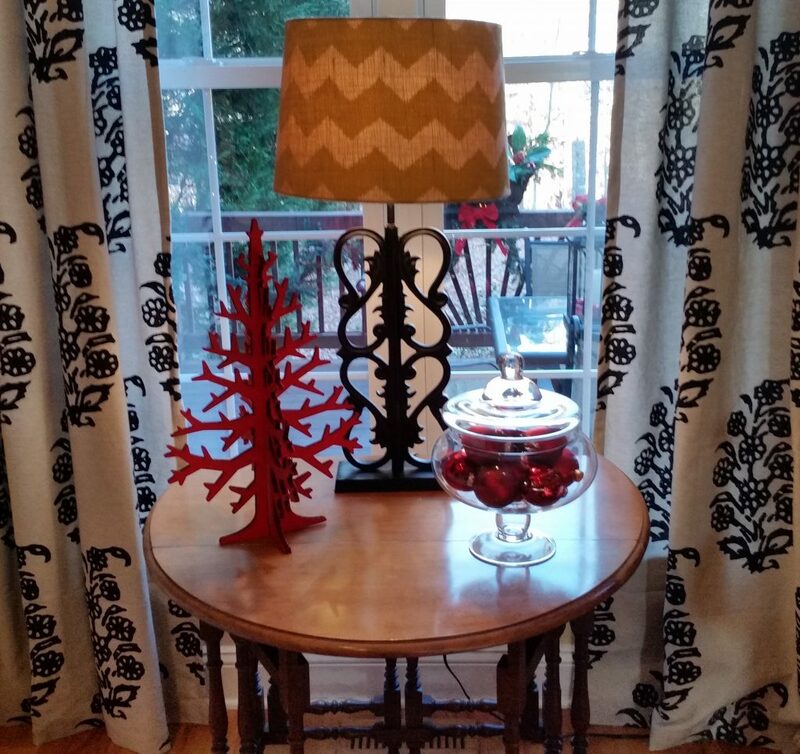 Laser cut cardboard tree and covered glass pedestal bowl with a mix of matt and shiny red Christmas balls. 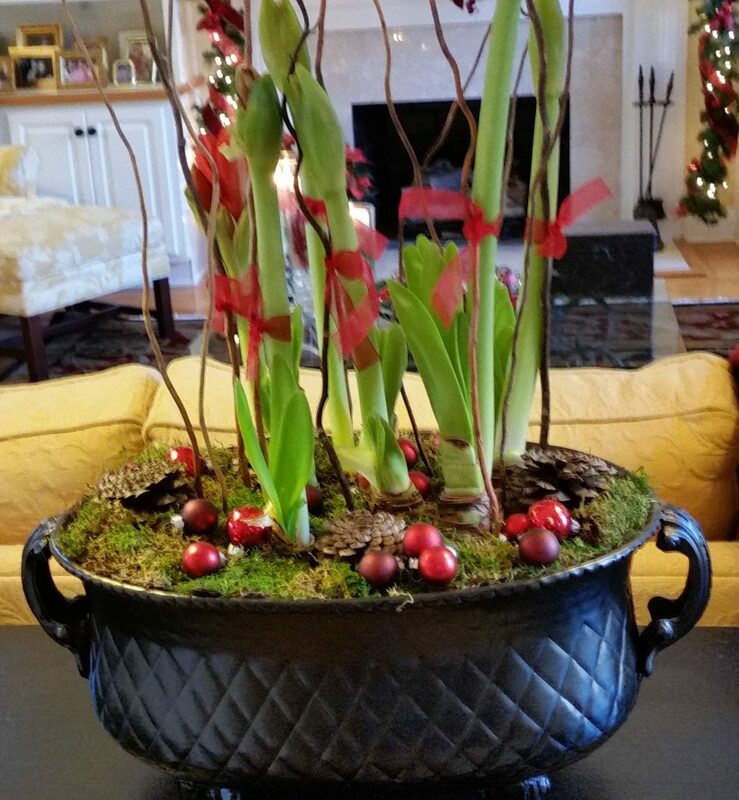 Amaryllis staked with curly willow and ribbon in a planter adorned with red mini ornaments. 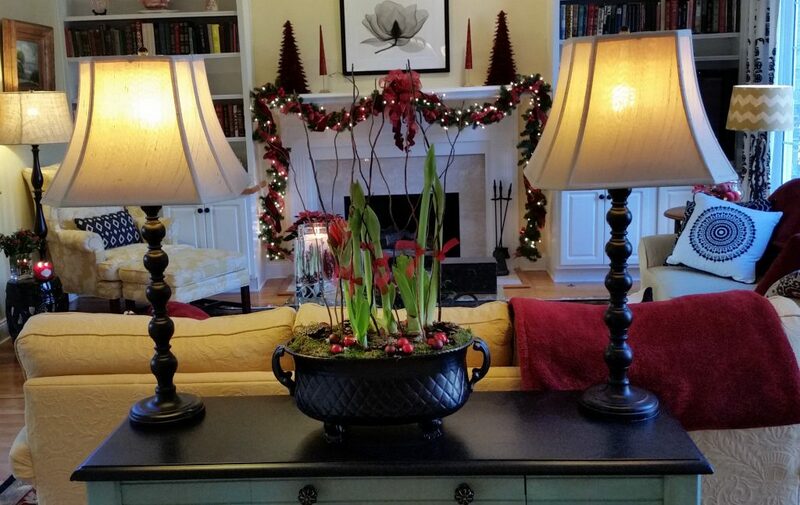 Gorgeous giant red blooms on these Christmas amaryllis. 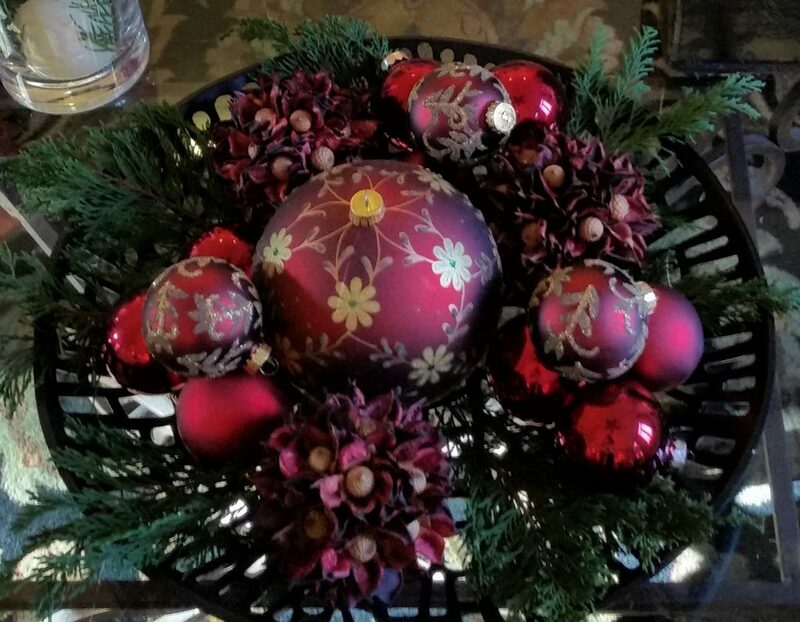 Bowl of assorted red Christmas balls accented with fresh cedar. 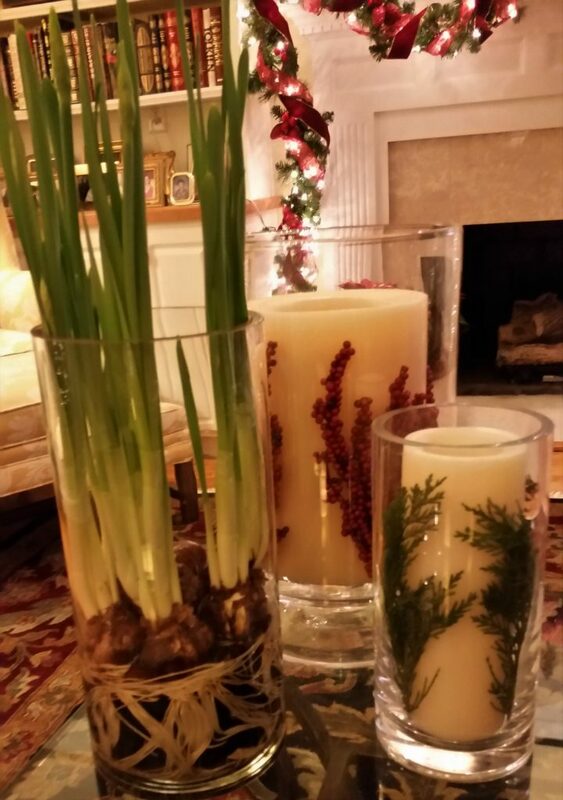 A trio of glass cylinders with pillar candles and paperwhites. 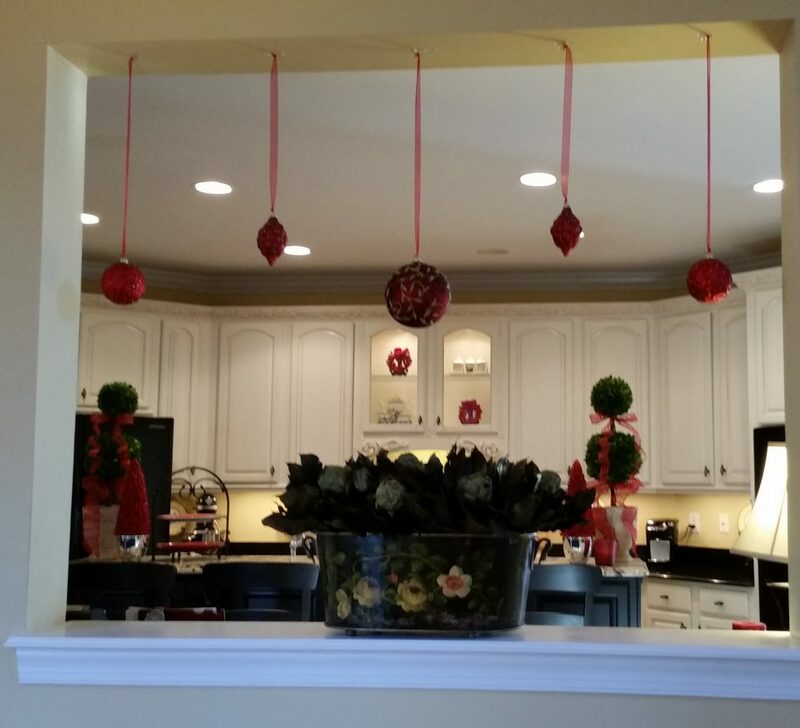 Christmas ball suspended by delicate sheer ribbon in the pass-thru between the family room and the kitchen. 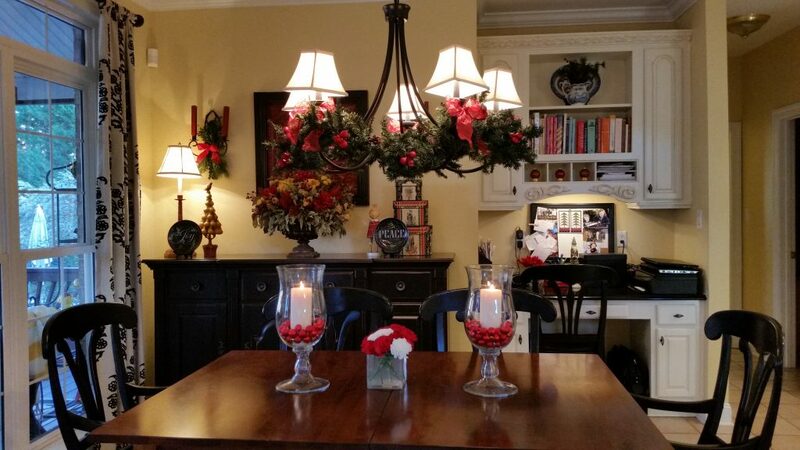 Kitchen table with garland swagged chandelier. 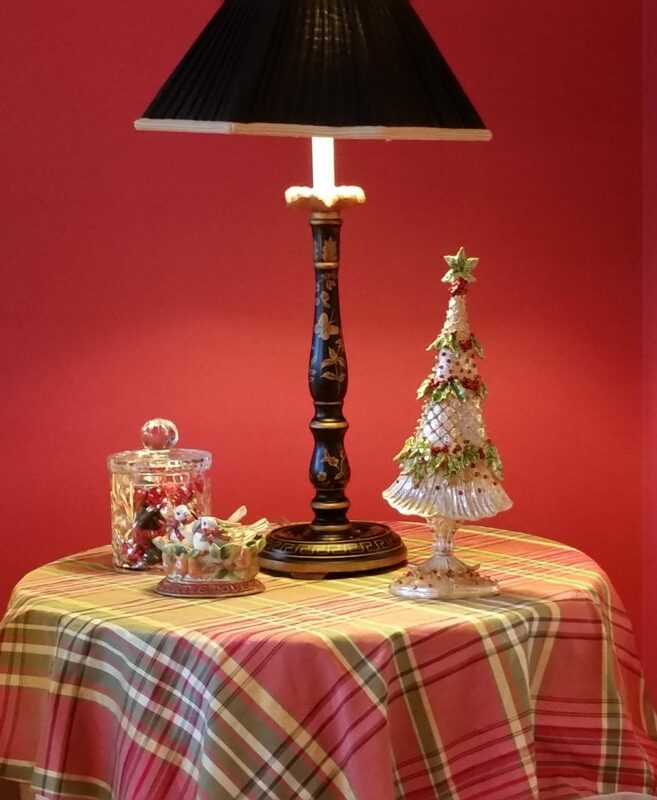 Simple red ornaments displayed on top of brass napkin rings dress up the cubbies above my desk. 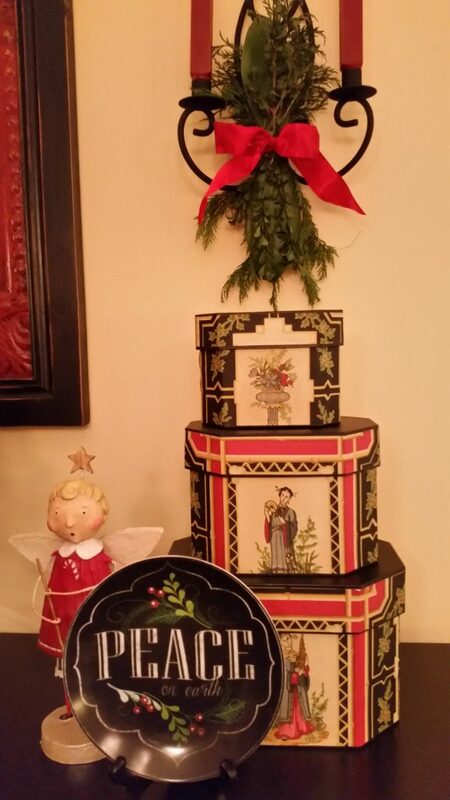 A yellow partridge and a pear tree and a cute Christmas Angel are part of a grouping that includes these unusual black chalkboard Christmas plates that I found at Pier One this year. I like to add greenery everywhere I can. 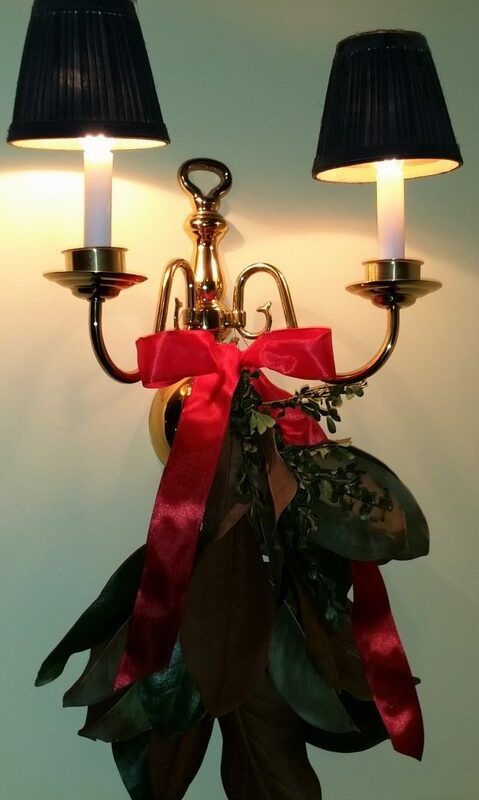 These candle sconces that flank the buffet in my kitchen dining area are decorated with red ribbon, cedar, magnolia leaves, and boxwood from my yard. 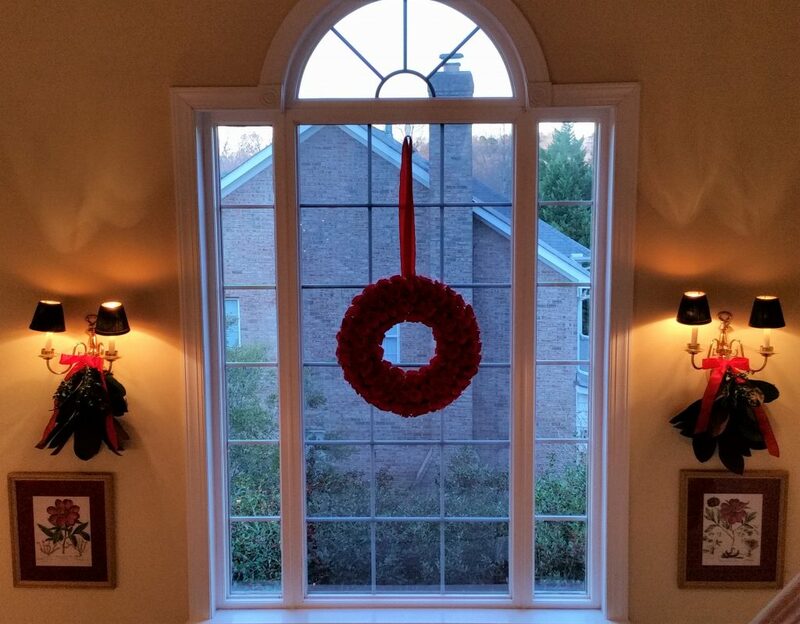 A trio of small wreaths tied together with sheer red ribbon adorns the door to the back porch. 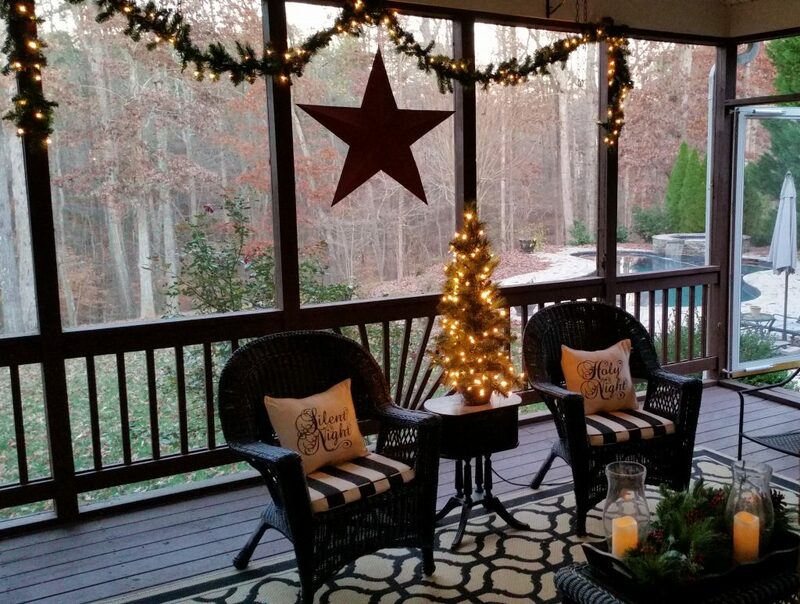 Screened porch with a lighted tree, garland, and large red metal star. 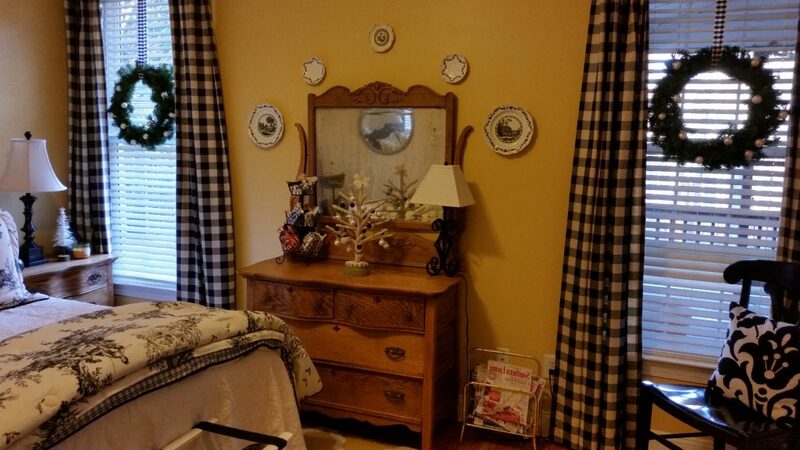 Guestroom with funny little felt tree and plaid beribboned wreaths. 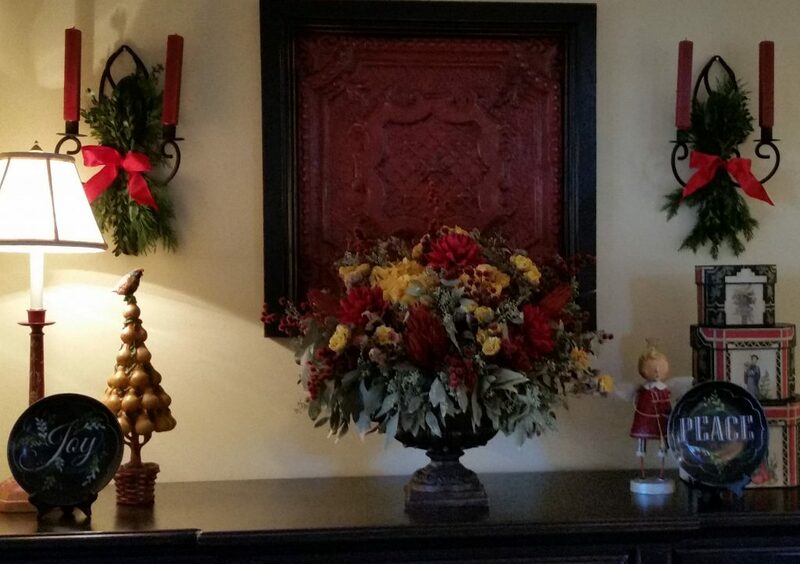 When your living-room is already red, adding fresh green wreaths is all you need to make it ready for it’s Christmas close-up. If one red tree is good, three is better, right? 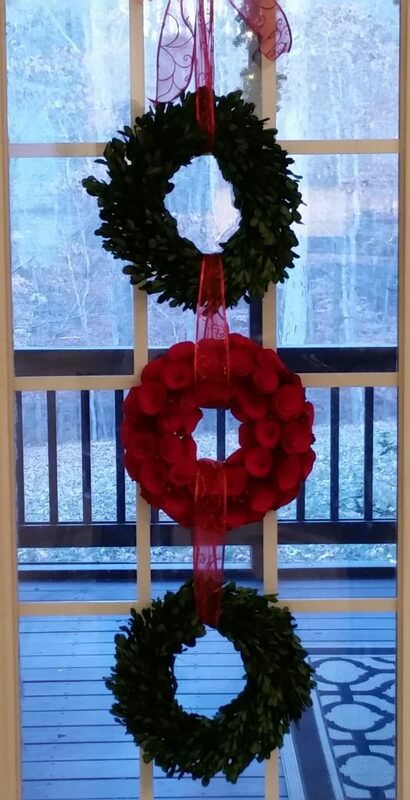 Stairwell window with red rose curl wreath. 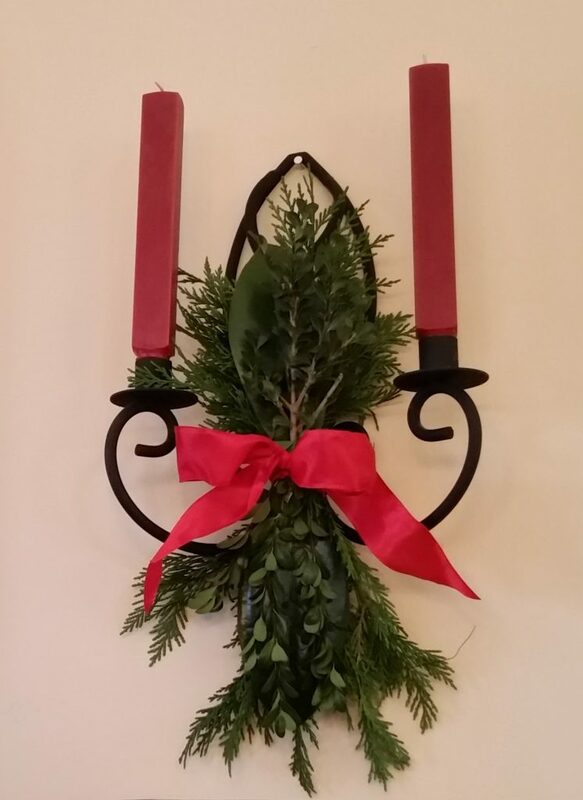 Sconces decorated with fresh magnolia and boxwood swags. 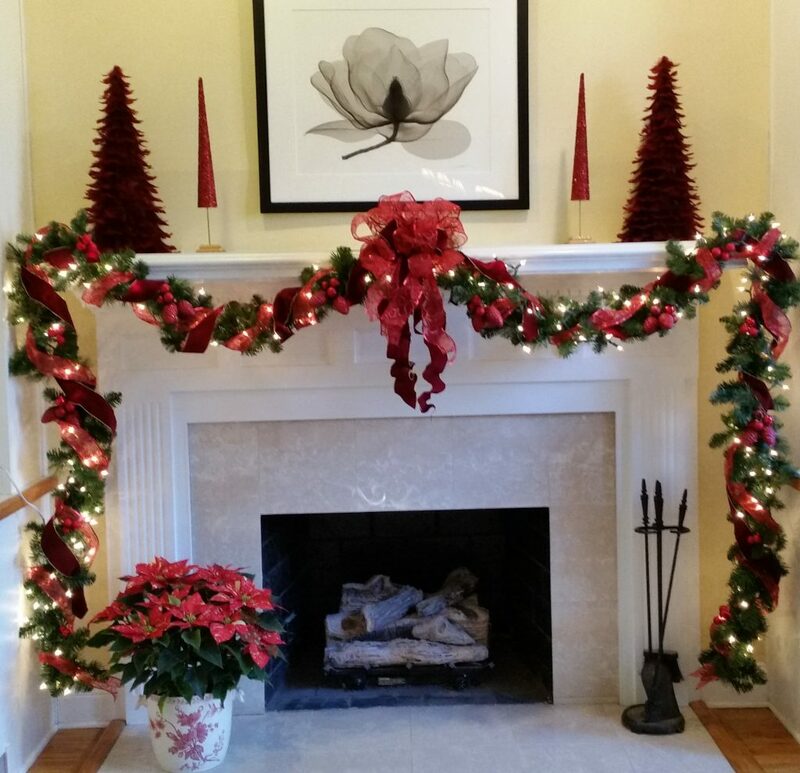 Foyer with lighted garland and crazy big red bows I made to decorate the staircase. Our slightly oddly shaped Christmas tree. Note that the tree-topper is also a tree. I wish you and yours a very Merry Christmas and when you look at your own Christmas tree, remember to savor the memories with your friends and family. 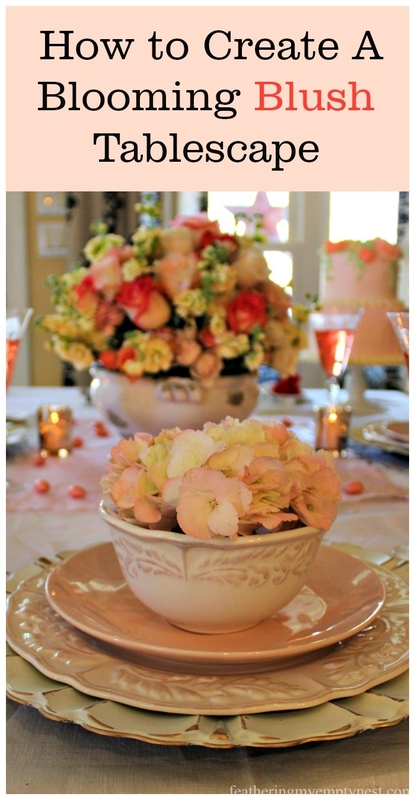 Previous Post Thanksgiving Table Settings–No Jive Turkey! What beautiful decorations! I really love your display of bulbs. 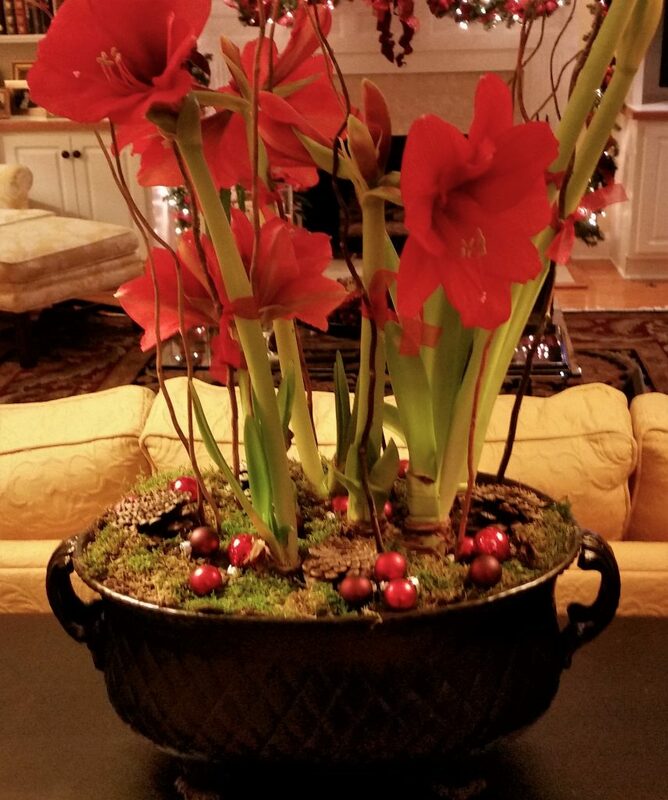 Especially the amaryllis bulbs in the container. Thank you for jingling all the way! Lovely as usual! Love the memories. Wow. 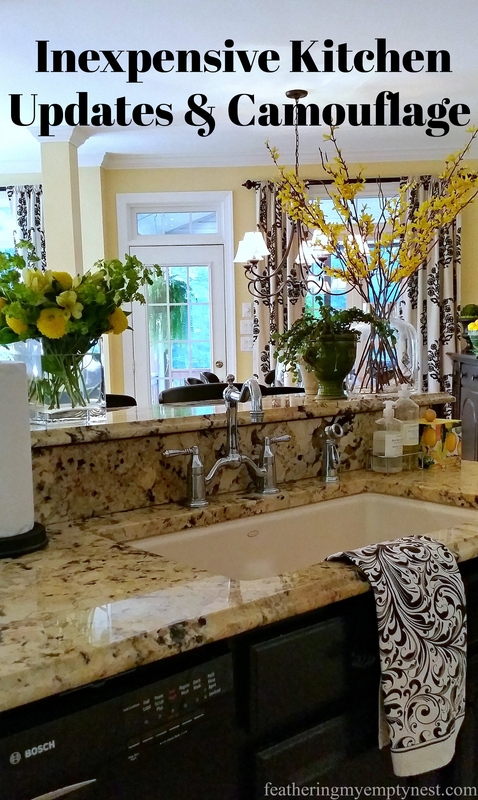 Really beautiful decor. I love the paperwhites in the glass vase– makes me wish I were able to keep flowers alive for more than a week or two! I love that your tree topper is a tree! It reminds me of one of my favorite Christmas children’s books– Mr. Willowby’s Christmas Tree. 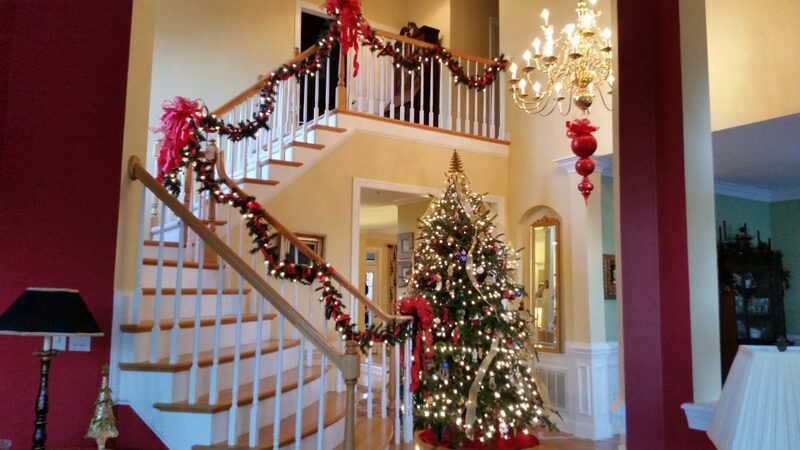 Beautiful decorations all around! I think every family has a their own “swearing in of the Christmas tree” memory. For me, it’s the annual argument about whether to use color or white lights on the Christmas tree. Have a great time over the holidays! of your web site is fantastic, as well as the content! So beautiful Lisa! You definitely jingled all the way. Thank you for all the festive ideas. I loved the amaryllis planting and the paper white containers. You have sparked my Christmas spirit! Thanks so much Deborah. Merry Christmas to you! Such a stunning home decked out for Christmas. I can only dream about seeing homes like this and I love it. Beautifully done. Leanna, thank you so much for your kind comment. I really appreciate it. I wish you a very happy holiday! Thanks so much, Jelica. Our holidays are definitely interesting around here! I hope you and yours have a very Merry Christmas!